Upgrading the Resuscitation Unit was the first stage of a long-term commitment by the Blue Ribbon Foundation to the Swan Hill Hospital. New equipment installed in the Emergency Department now provides better life-support treatment for local patients and further donations will be made in the future for additional facilities. Our commitment to the Swan Hill Hospital is a joint venture with the local community through the Swan Hill Branch. 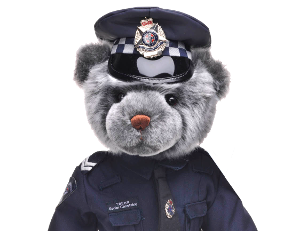 The unit was dedicated as a Police Memorial in memory of Detective Senior Constable Robert Lane who was murdered at Kyalite in 1979. On Friday 13th July DSC Lane accompanied David Chapman, an 18 year-old car theft suspect, to a disused bus parked in a campsite at Kyalite, NSW. Whilst Lane searched the bus Chapman took a .22 rifle and shot the Detective in the head. The policeman fell to floor and Chapman then walked up and again shot him in the head. He then dumped Lane’s body in a nearby sullage pit then stole the police car to make his escape.